Check back in the Spring for more details on National Donut Day 2019. National Donut Day, or National "Doughnut" Day, was created by The Salvation Army in 1938 to honor those who served doughnuts to soldiers during World War I. 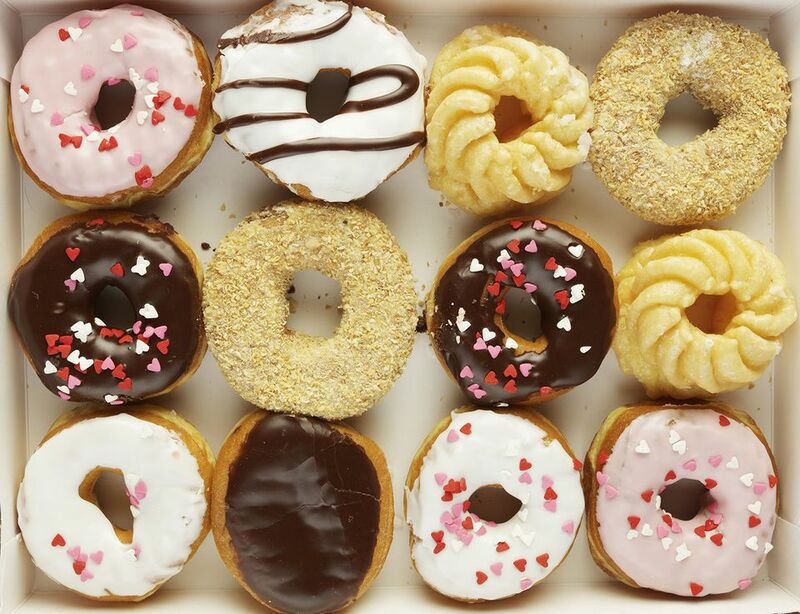 Many donut shops like to celebrate this day by giving away free donuts. In celebration of National Donut Day, this year you can get free donuts from Krispy Kreme, LaMar's Donuts, Dunkin' Donuts, and more. National Donut Day is on the first Friday of June each year. This year National Donut Day is on Friday, June 7, 2019. Here's a list of where you could get free donuts to celebrate National Doughnut Day in 2018. Krispy Kreme - You can go to your local Krispy Kreme on National Donut Day and get any doughnut for free, no purchase necessary. LaMar's Donuts - Visit LaMar's Donuts on Friday, June 1st to get any donut that has a hole in it for free. There's no purchase necessary. Dunkin' Donuts - Dunkin' Donuts is giving away a free classic donut of your choice with a purchase of any beverage on June 1st, 2018. A regular small coffee shouldn't set you back too much and you'll get a free classic donut at any Dunkin' Donuts location.